Pictures of a device that's rumored to be the next generation Amazon Echo Dot are circling the internet. First released by Numerama and FrAndroid, the images show a device that is similar to the original design of the Dot, but with some new twists. The perimeter of the device is now covered in gray textile, mimicking the texture of Google's Home Mini. The side panel is bulging out slightly, resembling a donut, which is likely why the internal codename for the device is "Donut". On top we see the familiar set of four buttons: volume controls, mute and action. Kirby for scale? We can work with that! The overall size appears to be a bit bigger than the original Echo Dot. The Kirby Amiibo figurine on top of the device has a base of around 4.76cm in diameter and it appears that the device's diameter is around twice that, which would make it 9.52cm (3.75 inches). The current Echo Dot is 8.35 cm (3.29 inches) across. Inside, the improvements are what you would expect from an upgrade. The leakers say it will have a better, slightly more powerful speaker, which explains the bulkier form factor, and "only" 5 microphones, down from the original 7. Of course, Amazon wouldn't risk not listening to you just as well, so we assume the microphones are much better than last gen's. 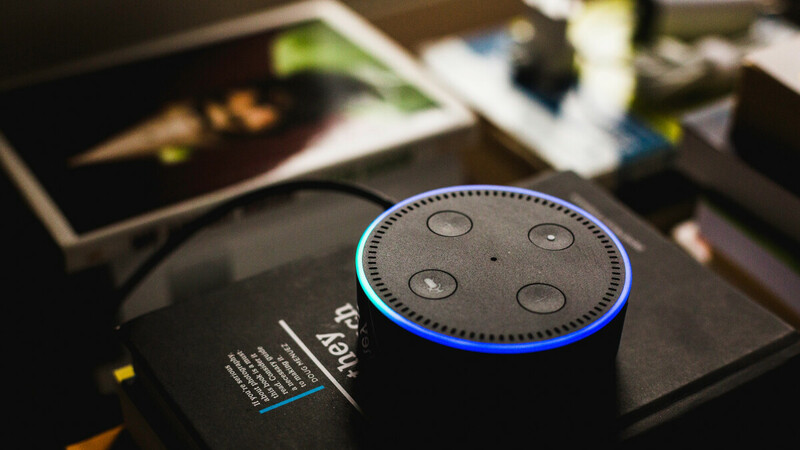 There is no information when we can expect the new smart speaker, but the original Echo Dot will be 2 years old in October, which sounds like a good opportunity for an update. There have already been 2 versions of the Dot. doesn't mean they can't improve. IP rated, portable, better speaker, etc.